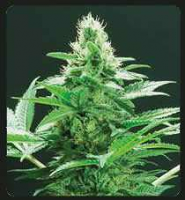 Pink Gorilla Regular Marijuana Seeds by Mosca Seeds: Pink Gorilla takes its name straight from its parent plants. Gorilla Glue #4 is a greasy, phat indica that's got a lot of positive attention of late and, when crossed with the 75% Starfighter Pink 2.0 male, things get powerful, flavoursome, positively motivating and terpene-centred. 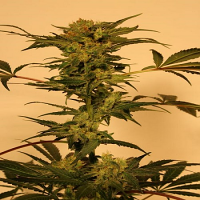 Pink Gorilla plants are medium-sized reaching an average height of 122cm, flowering endures for 8 to 9 weeks and plants grown outdoors will be ready to harvest during October with yields of up to 1000 gr/plant quite possible. 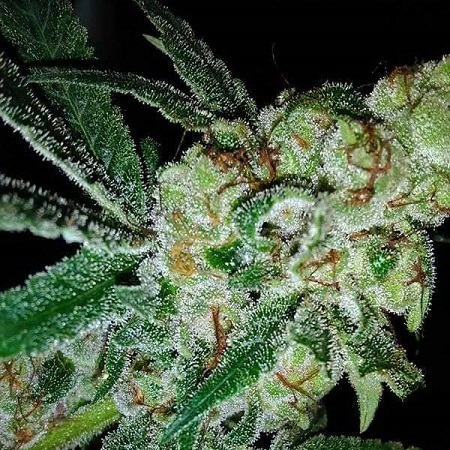 This is another of Mosca Seeds' marijuana strains that will need a greenhouse to be cultivated successfully anywhere that the climate is not warm and dry through the early autumn. Medicinally claimed to be effective for the treatment of arthritis and migraines.